Like a family tree, the Guru Parampara can be traced back through many generations. However, unlike ordinary families which are bonded by blood lineage, the spiritual family is held together by a greater bond of spiritual knowledge, attainment of spiritual salvation, and the eternal love for Lord Krishna passed on by a guru to his disciples. Initially, the Nimbarka philosophy was practiced and preached by the learned saints who had renounced the world of all material desires and meditated (tapasya ) in inhospitable mountainous areas of the Himalayas to attain spiritual salvation. Sri Sri Ramdasji Kathia Babaji Maharaj was the first of the saints who came down to the plains of India to preach and spread the message of Sri Nimbarka Dev among the common people who had not renounced material possessions. The saints were called Kathia Baba Maharaj by the common people due to the very unique thick wooden belt (kath) and white piece of cloth (coupin) worn by them which indicated their renunciation of all bodily pleasures. Currently led by Dr. Brindavan Bihari Das Maharaj, the Kathiya Baba family (sampradaya) now comprises of devotees who belong to all walks of life. Some of them are saints (sanyasis) like Maharaj-ji himself while others are common folk (grihis). 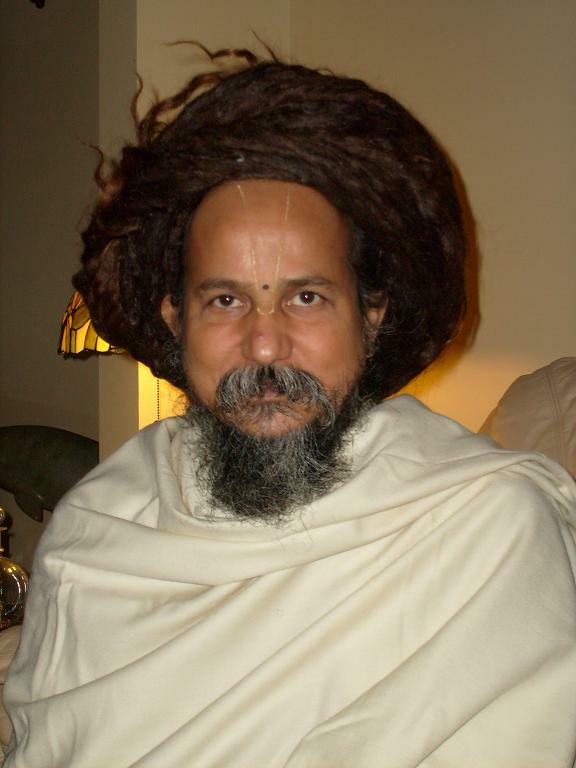 Dr. Brindavan Bihari Das completed his Ph.D. in 1991 from Benaras Hindu University. His dissertation was on Nimbarka philosophy titled “Atypical Study of Nimbarka Philosophy” (Nimbarka Darshan ki Samikshatmak Adhyayan). He is the founder of the International Nimbarka Education Society (INES) established in early 2007 aimed at delivering quality education to underprivileged children throughout India. He has been invited to speak on Nimbarka philosophy at various conferences across the world including the United States, United Kingdom, Sweden, and Bangladesh. There are sampradaya ashrams all over India which perform many social and charitable activities like free medical camps, flood relief programs, and various other initiatives. Apart from the ashrams, there are schools for underprivileged children, libraries, and orphanages which are funded by donations of the devotees. Many celebrations, yajnas, and pujas are held throughout the year in the ashrams. There is also a publication house that publishes and sells books on Nimbarka philosophy. A yearly conference is also held at various venues across the world on Nimbarka philosophy, typically during the first couple of weeks of November. This conference is multidisciplinary in nature and scholars from many disciplines present their interpretation of Nimbarka philosophy as it relates to the world today.